Dr. Jennifer Hoffman is Director of R&D at AirXpanders. She led the design and development of AeroForm Tissue Expander V3.0, leads on-going efforts to reduce scrap/COGS, and ensures regulatory compliance. Prior to AirXpanders, Dr. Hoffman was a polymer consultant with Exponent for 12 years where she provided product development support for industrial clients and technical expertise for product liability cases. She is on the board of the Golden Gate Polymer Forum, Society of Plastics Engineers (SPE) Golden Gate Section and SPE Failure Analysis & Prevention SIG. 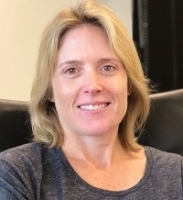 Dr. Hoffman earned her Bachelor's in Materials Science and Engineering from the University of Michigan and Ph.D. in Materials Engineering Science from Virginia Tech.